This project was created for Blender Artists Weekend Challenge 760. "Bus stop" was the challenge theme. The entire scene was created, rendered, and finalized all in Blender 2.79, Cycles renderer with render nodes. Only Blender procedure textures were used. 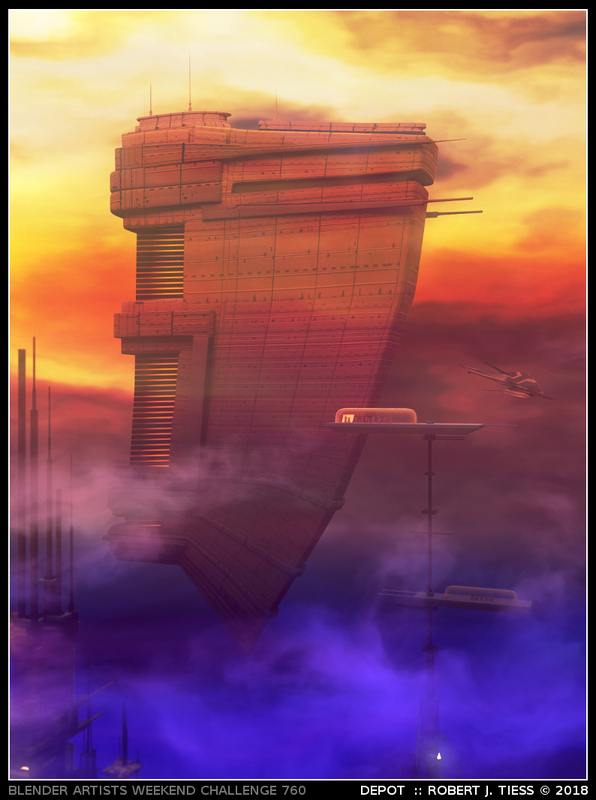 This includes the sky, the clouds, the ship texturing, etc.